Share the joy with your loved ones this Easter by serving Breadsmith's fresh-from-the-oven artisan breads and sweets. We're featuring a full assortment of seasonal favorites, including our handmade dinner rolls and delectable Hot Cross Buns. Our Hot Cross Buns are a traditional Easter treat filled with bright flavors from orange peel, cinnamon and raisins, and topped with a symbolic cross of powdered sugar icing. Pull Aparts are eight dinner rolls baked in a round that goes from oven to table… if it makes it that far! Place your Easter order today! Reserve Hot Cross Buns, Pull Aparts and your family’s favorite Easter celebration treats. Breadsmith is your neighborhood bread store. We invite you to visit one of our four area locations to meet our friendly team members and enjoy a complimentary sample of our fresh, scratch made artisan breads and sweets. Breadsmith uses the highest quality ingredients to create hand-crafted breads made from scratch and baked fresh daily. Our French Baguette, Sourdough, Chocolate Babka, Pumpkin Bread and others have given simple pleasures to our customers since 1997. Breadsmith has a strong focus on taste and freshness; that’s why all the bread in our bakery is baked fresh each day. Our dough is never frozen and our breads are baked in a six-ton, stone-hearth oven imported from Europe. We also make a wide range of cookies, muffins and sweets. Breadsmith supports local organizations with fundraisers and special events, and at the end of each day we donate our unsold bread to those in need. If you know of a charitable organization that could benefit from our service, please let us know. Easter orders are due by 6pm on Friday, April 19th. Mark your calendar for Hot Cross Buns and Pull Aparts - two seasonal favorites. DOWNLOAD PRINTABLE APRIL CALENDAR HERE. Teacher Appreciation Week is May 6-10 and Apple Pie Bread will be on special FOUR for $20! They will go FAST - reserve yours today! Also during the week of May 6th, gift cards will be Buy $20, get $5. Treat a teacher or MOM that you know with the gift of bread. DOWNLOAD PRINTABLE MAY CALENDAR HERE. Our daily breads are the breads that we make every single day. Each loaf contains simple ingredients combined in unique ways to create seven truly artisan breads. Then we handcraft each loaf into its own shape and size. Our daily bread goes well with just about anything you might want to serve for breakfast, lunch and dinner. Try a loaf today or stop in for a sample! Our weekly breads consist of the varieties of loaves that we offer each day of the week. Our breads are baked fresh every morning. When you see a type of bread that strikes your fancy, mark the day on your calendar. Then, be sure to swing by one of our 4 convenient locations. 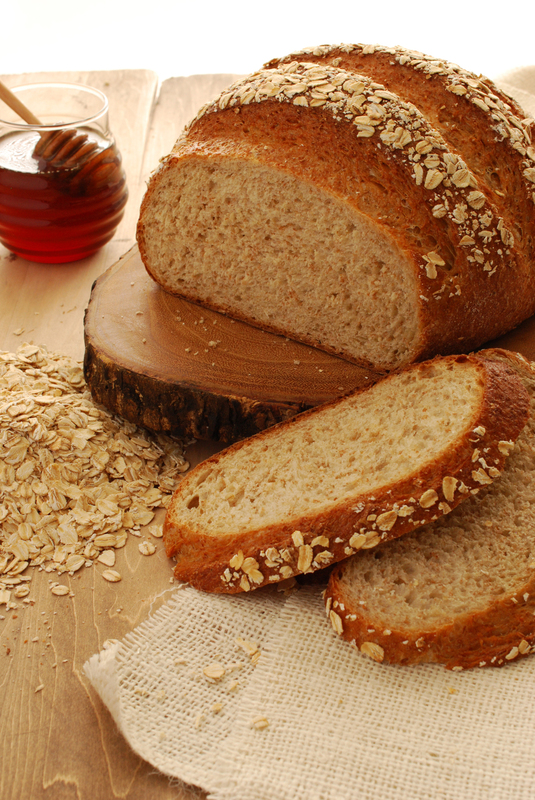 Few things are better than a slice of freshly baked bread. We offer the option to call in your order, which allows you to pick it up at your convenience and ensures you get the bread you want. Our calendar breads are special for two reasons. One, we only make them occasionally throughout the year. Some are made once or twice a month while others are only made once or twice per year! Two, they all include specialty ingredients that make them unique in taste and texture. We treasure these breads. Check out what's available this month! Our cookies and sweets are made as freshly as our bread. They're all made by hand and are nothing short of absolutely amazing! We definitely don't skimp on the yum at Breadsmith Sioux Falls! keep in paper bag at room temperature (plastic bags soften the crust). place the sliced side down on a cutting board to retain moisture. any portion that will not be eaten within 3 days in a plastic bag with as much air squeezed out as possible for up to 3 months. thaw in unopened plastic bag at room temperature to reabsorb moisture. remove bread from the plastic bag. warm and recrisp in the oven on a baking sheet at 350° for 10-15 minutes. We are more than happy to slice your bread for you. Please note that when the bread is fresh out of the oven and still warm to the touch, slicing the bread is not recommended and we cannot guarantee freshness. We place sliced bread in a plastic bag, therefore, the crust will soften (see warm and recrisp above). If taking your bread unsliced, we recommend slicing with a high quality serrated bread knife using a gentle, sawing motion. We are here to serve you. If you need to contact us, please do not hesitate to do so. We look forward to hearing from you. Email Us with any feedback you might have. Join our EMAIL CLUB and LIKE our Facebook page for monthly updates, special offers, recipes and more.